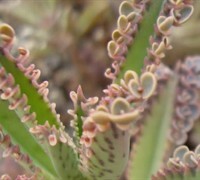 Below are common attributes associated to Mother Of Thousands. Become a care taker for Mother Of Thousands! Below are member comments regarding how to plant Mother Of Thousands. No comments have been posted regarding how to plant Mother Of Thousands. Be the first! Do you know how to plant Mother Of Thousands? Below are member comments regarding how to prune Mother Of Thousands. No comments have been posted regarding how to prune Mother Of Thousands. Be the first! Do you know how to prune Mother Of Thousands? Below are member comments regarding how to fertilize Mother Of Thousands. No comments have been posted regarding how to fertilize Mother Of Thousands. Be the first! Do you know how to fertlize and water Mother Of Thousands? Below are member comments regarding how to deal with Mother Of Thousands's pests and problems. No comments have been posted regarding how to deal with Mother Of Thousands's pests and problems. Be the first! Do you know how to deal with pests and problems with Mother Of Thousands? Looking for Mother Of Thousands? Every part of the Mexican hat plant, which is also known as the Alligator Plant or the Mother of Thousands, is a very poisonous plant. All parts of this type of plant are poisonous. If babies or household pets eat any part of the plant, they may become very sick or may even die.